RED finally announced the not-so-secret Scarlet and Epic today. Lots of the photography bloggers and gadget blogs are saying it is game changing. Forum nerds say they're "DSLR killers". A few are even claiming it'll be the end of Canon and Nikon completely. I say hogwash! I don't disagree completely that they could be game changing eventually. The specs are impressive. It'll almost certainly will have some measurable affect as they'll inspire some more innovation. Competition is always good. This isn't a post claiming they're vapourware, science fiction or anything like that. 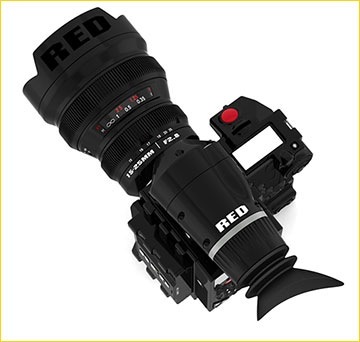 I have no doubt that Jim Jannard, RED's founder and CEO, can deliver on his promises and produce cameras that match or are close in specs to what was announced today and at similar or better price points. What I do doubt, rather what I'm concerned about, is how useable and reliable they will be. I'm simply calling for some sanity and reasoning about them. It's just too soon to get excited! And I'm going to reserve any excitement for them until professional photographers have had a chance to use the shipping products under real world conditions. Canon and Nikon have been at this "game" for decades. They know exactly what works and what hasn't and as photographers we know what to expect from them. Even with all of this experience, both companies still have had camera bodies that came out with serious flaws. In the case of the Canon EOS-1D Mark III they just stopped short of an all out recall. How solid is the gear when the individual components are attached to each other? How are they attached? Is this a product that's going to need constant babying? Is something going to fall off if we merely bump into someone else? Can they survive a small drop? How is it all sealed? Will it be weather resistant? If not, are we even going to have to worry about using them in humid conditions? What about dust and sand? Snow and Cold? Pros don't always have the luxury of waiting for ideal weather or working only in ideal conditions. I love being able to use my Nikon D3 in the heat, cold, light rain or snow without any concerns. How ergonomic are they? Based on the pictures I've seen it doesn't appear that comfort or ergonomics played any importance in the design at all! I think the modular construction even sacrificed the position and layout of all the controls. These are not going to be "instinctive controls" that we can switch to and use without adjustment! Hell, some look so small and cramped together that they'll be a serious problem. Forget about keeping your gloves on...if you can even use them out in the cold. The modular construction almost certainly adds weight and I bet they will be much heavier. How noisy are the sensors? Hows the color accuracy and range? Lots can go wrong here. Both Nikon and Canon released bodies with sensors that weren't without problems. Remember the banding issues on the early D200s? How reliable overall will it be? Time and use can only answer that. My advice to other professional photographers looking at the Scarlet and Epic is to look with curiosity but let the dentists, doctors, and lawyers be the guinea pigs and get all the kinks worked out. Sure we're all speculating right now but even still, I think it's very unprofessional for professional photographers to even dream about relying on these unreleased first generation products until much more is know about them. DSLR Killers they are not. Nov 15, 2008: Was just told that the Scarlet and Epic doesn't even have auto-focus no matter who's lenses you use. What a joke! No auto focus!! That is jut insane! I am no photographer, but have been a DSLR owner for years. And I, like thousands of other women rely on the shutter speed of a DSLR to actually catch the image of my child that I am trying to take before they move and the moment is lost. Many owners of DSLR never take their camera off of full auto. There is absolutely no time to manually focus a picture of a child's first steps or blowing out their birthday candles. Especially as an amateur. So I know of at least one group of consumers that will remain faithful to the auto focusing DSLRs.